Biskin Lee is no stranger to hospitals. 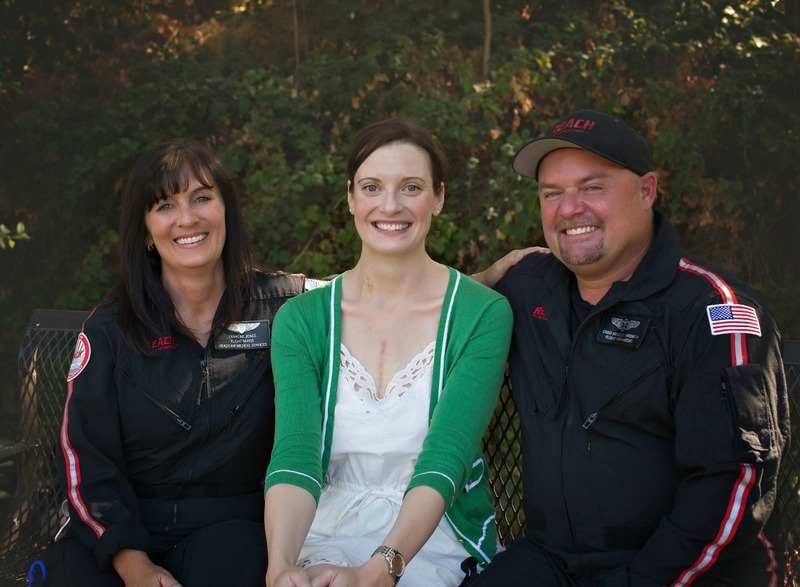 Born with a congenital heart problem, she underwent her first open-heart surgery at 14 years old. Unfortunately, mistakes were made during the surgery, and she had a series of heart attacks while on the table. Despite her illness, this vibrant young woman has managed to get more out of her brief 34-years of life than most do in many more. She has traveled extensively, graduated from the University of California, Berkley with high honors in a degree she created herself, lived abroad in both England and Switzerland, and pursued a Master’s Degree at The London School of Economics in Philosophy and Public Policy. Like many times before, complications as a result of Biskin’s heart is why she found herself in the hospital last summer, and is ultimately, what led her to cross paths with the REACH crew. L to R: Flight Nurse Francine Jones, Biskin Lee, Flight Paramedic Chad Midgley. Biskin was at Sonora Regional Medical Center near her hometown of Jamestown, California, and she needed to get to UCSF Medical Center in San Francisco fast. Because of being on blood thinners and numerous other complications, she was having a very serious uterine hemorrhage, and needed immediate help. It was because of REACH’s specialty GPS routes that the crew was able to respond when other air programs weren’t. These proprietary routes allow our crews to safely transport patients even in inclement weather. The REACH 56 crew out of Reno, Nevada got the call for the transport. Pilot, Tom Ormond, Flight Nurse, Francine Jones, and Flight Paramedic, Chad Midgley were the responding flight team. 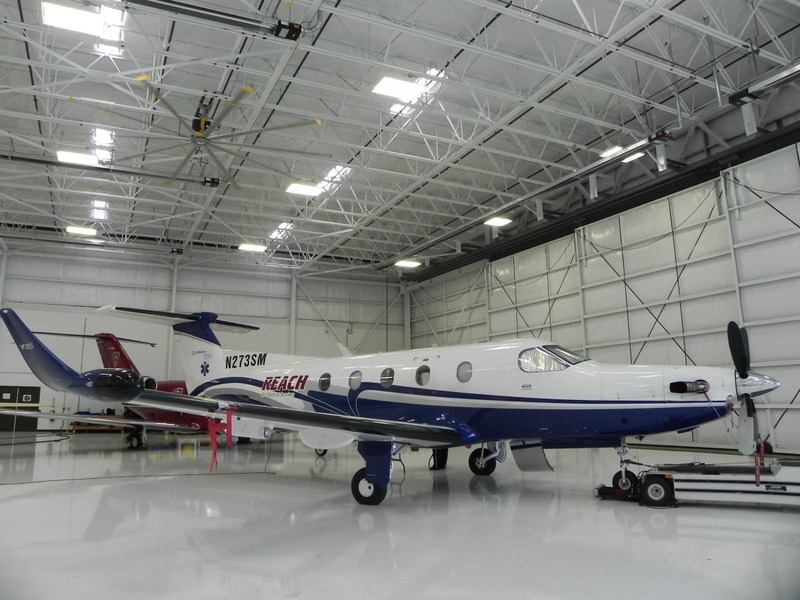 The REACH 56 aircraft is pulled from the hangar in Reno. Having a strategy in place before departing the hospital was critical for Biskin because of her left ventricular assist device or LVAD. An LVAD is a device that assists the heart in pumping blood to the rest of the body. However, like any other piece of electronic equipment, the LVAD doesn’t function without a power source. Therefore, before they even left her room, the flight crew had to have a fully formulated plan for keeping Biskin’s device powered up and working during the transport. With their strategy place and Biskin loaded into the aircraft, the crew prepared for takeoff. Despite it being her third emergency medical transport of the year, Biskin was still nervous about the flight. After reassuring the crew that she would be ok riding as she was, Biskin and the crew took to the skies and headed for San Francisco. During the flight, Francine and Chad had the opportunity to learn more about Biskin and her condition. It was a joyful reunion between Biskin and her flight crew. While Francine and Chad were taking the chance to learn all they could about Biskin’s complex health issues, unbeknownst to them, they were providing Biskin with a level of comfort she desperately needed. 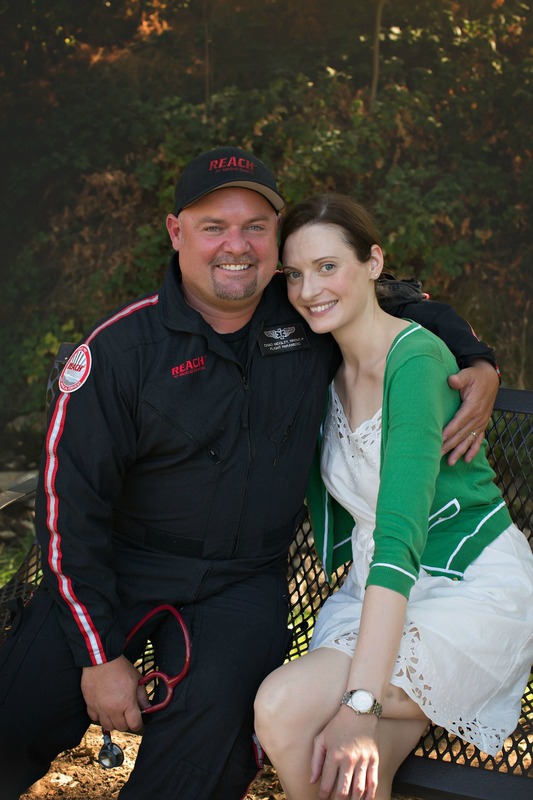 It wasn’t long before they were touching down at San Francisco International Airport where an ambulance was waiting to transport Biskin to the care she needed at UCSF. Despite receiving the best possible care during her flight and her stay at UCSF, Biskin has a long road to recovery ahead of her. For years, she had been awaiting a heart transplant, but with her chances of rejection so high, her outlook was not great. It wasn’t long after we met with Biskin that something wonderful happened. She took part in a clinical trial at Cedars-Sinai Hospital in Southern California that lowered the level of antibodies in her blood and allowed for a successful transplant to happen. This special woman is now on the mend and all of us at REACH are pulling for her. We hope that she continues to receive the medical care that she needs and deserves.